Creating memories at U.S. Fairs & Festivals for two generations! LOS BANOS — Inside a colorful circus tent is where imaginations run wild at the Merced County Spring Fair. Ringmaster Caton Hegwer and costume coordinator Carol Raintree-Hegwer handpick kids from the audience to take part in an interactive show designed to get children to use their imaginations. The duo is a husband-and-wife team who took on the family business as their own. Now traveling throughout the West Coast, the couple perform at a number of fairs and festivals. With them, they bring a 30-by-30-foot tent, costumes and props, and leave it up to the imaginers to do the rest. While Caton Hegwer emcees the show, his wife dresses the kids in costume, and guides them to perform a show straight out of a make-believe scene. 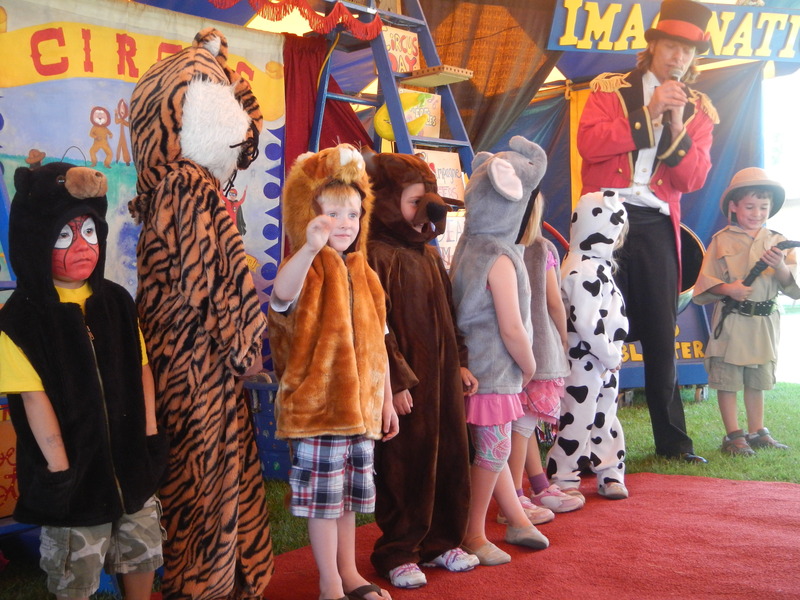 The show attracts 4-year-olds and up and lasts around 20 to 30 minutes. 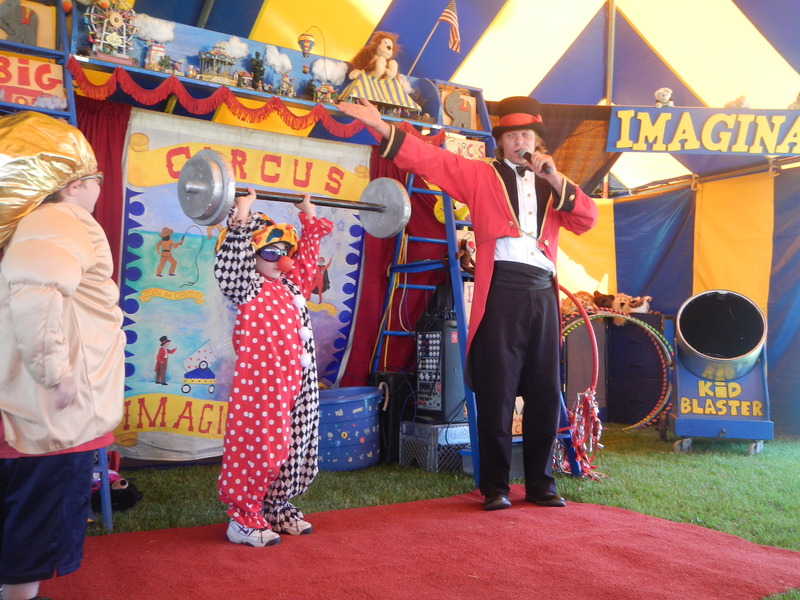 Access to Circus Imagination is free with paid fair admission. This entry was posted in Merced Spring Fair, Uncategorized and tagged circus imagination, free fair entertainment, merced spring fair 2014, play outside on April 26, 2014 by Carolina Raintree-Hegwer. Los Banos, CA: We loved coming back to the fair this year, it’s always a great time with friends for us here! We had the unexpected visit of an old circus fan, and the usual…. A bunch of WILD CHILDREN! Just how we like them! Here are some pictures of ours shows at the 2013 Merced Spring Fair. We will have the video of a couple shows (School Tours) later on on youtube, check back soon! Thank you so much Los Banos! Thank you to all who have watched and participated in our show throughout the years! Send us your own pictures! Tag us on facebook facebook.com/CircusImagination! If you have an youtube page tag us in your videos we would love to see them all! This entry was posted in Merced Spring Fair and tagged 2013 Merced Spring Fair, california entertainment. children circus, california fairs, california festivals, Children Entertainment, circus imagination, have fun outside, the travelling backyard circus on May 11, 2013 by Carolina Raintree-Hegwer. Los Banos, CA: So it all comes down to an end… We would like to say thanks to the Merced Spring Fair for having us back this year! We absolutely love coming back! We hope to see you all again next year! We travel all summer with the circus and visit many fairs, but there’s nothing like coming back to a place where we are starting to get second, third generations of the same families coming to the fair to be part of our show! 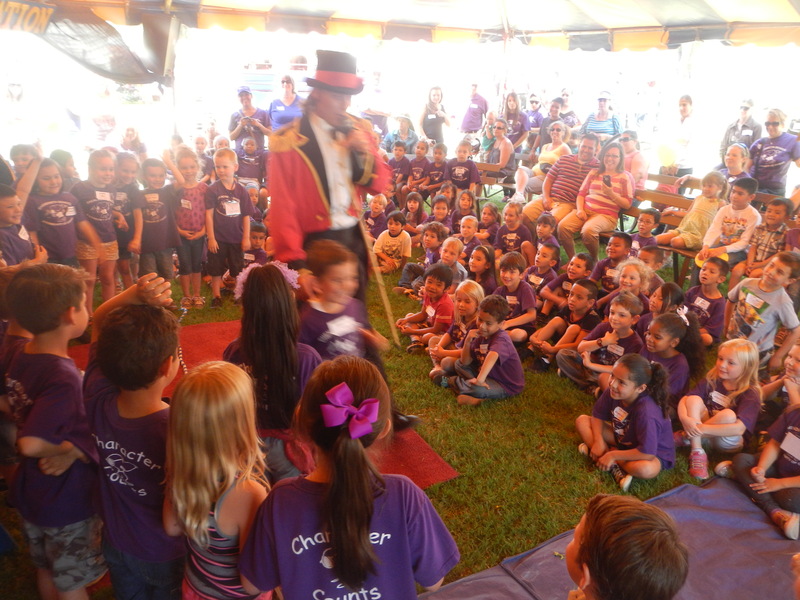 So our biggest thank you goes to the Los Banos community for knowing how to use their imaginations and have fun! Thank you all for watching and being part of our show, we couldn’t do it without you guys! 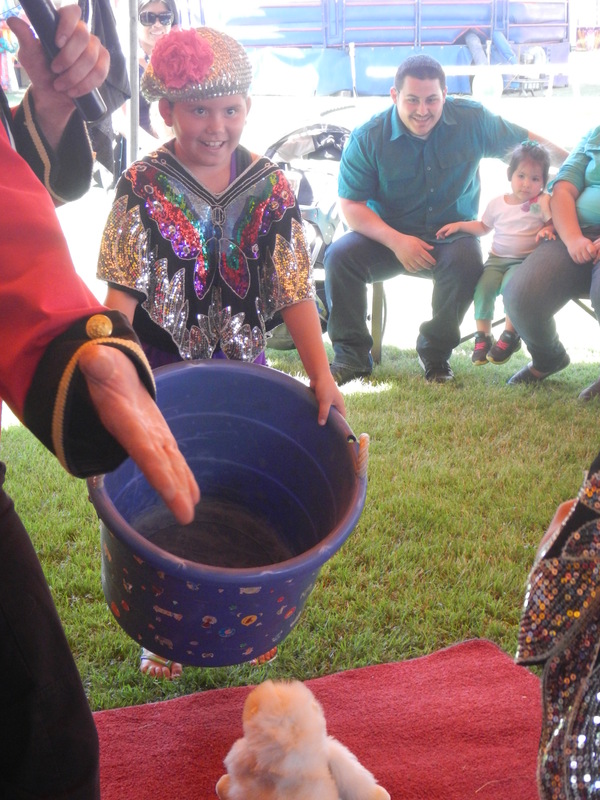 Below are some highlights of Circus Imagination at the 2012 Merced Spring Fair. This is just a sneak peek at some of our fun moments at this year’s fair! This entry was posted in Merced Spring Fair and tagged 2012 merced spring fair, circus imagination, free fair entertainment on May 6, 2012 by Carolina Raintree-Hegwer. Los Banos, CA: I had to post these pictures not only because they are cute but also because these kids really helped us out at the 2012 Merced Spring Fair! During most fairs that we have visited for a while there is always a group of kids that stick around our circus tent 24/7. They are always asking:”Can we help?” So I finally came up with a couple chores they can do. Picture number one: Whisker Straightening! Picture number two: Clown Trash Pick up! This entry was posted in Merced Spring Fair and tagged 2012 merced spring fair, best at the fair, best children performers, best free fair entertainment, california children entertainment, California entertainment, children circus, children entertainers, children performers, children theater, circus at home, circus imagination, circus on your backyard, cutest show on the universe, family fun fair entertainment, free fair entertainment, fun at the fair, fun California fair, fun county fair, have fun outside, have your own circus, play more outside, Sacramento entertainment, the show where the kids are the stars, use your imagination, ways to play outside on May 5, 2012 by Carolina Raintree-Hegwer. Los Banos, CA: Hello everybody! 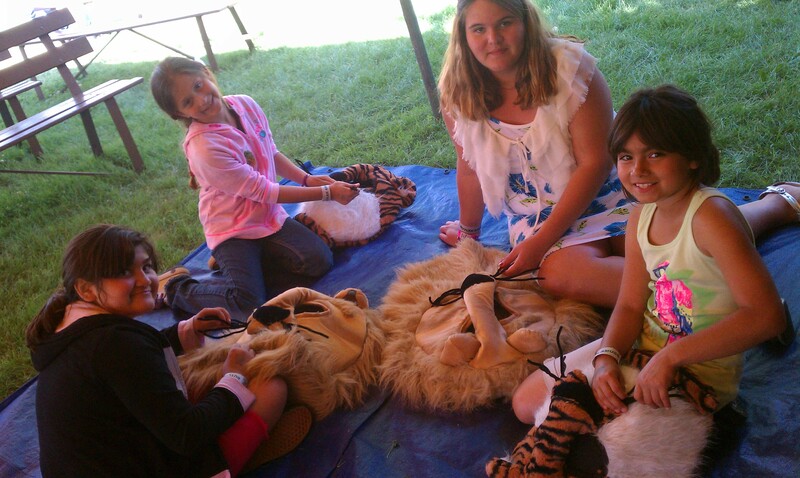 Circus Imagination is here at the 2012 Merced Spring Fair! Today was the first day of the fair and we had two shows, one at 3 PM another at 5 PM. They were both great! We love being here! On our first show a mom came over backstage and said something I have to share with you guys: “We have been coming to the fair to be part of Circus Imagination for the past five years. This show, right now, was a milestone to our family. Today was the first time our youngest son joined the circus and also the first time that our eldest son did not.” Oh well… we are sad we lost one performer, but very happy to have the next generation lined up to have tons of fun with us for the years to come! Our volunteers today were so full of enthusiasm they really were the stars of the show! Below are the names of today’s “actors” part of the second show and present in the picture montage below! Good job to everybody that was in the circus today! You guys were awesome! We’ll see you at the fair! This entry was posted in Merced Spring Fair and tagged 2012 merced spring fair, circus imagination, free fair entertainment on May 2, 2012 by Carolina Raintree-Hegwer. Los Banos, CA: Hello everybody! Circus Imagination is here at the Merced Spring Fair! The event starts next Wednesday, May 2nd and it ends on Sunday, May 6th. The Merced Spring Fair is located at 403 F St. Los Banos, CA 93635. For more information about the fair click on the picture above or call the main office at (209) 826-5166. See you soon with new pictures and videos!! 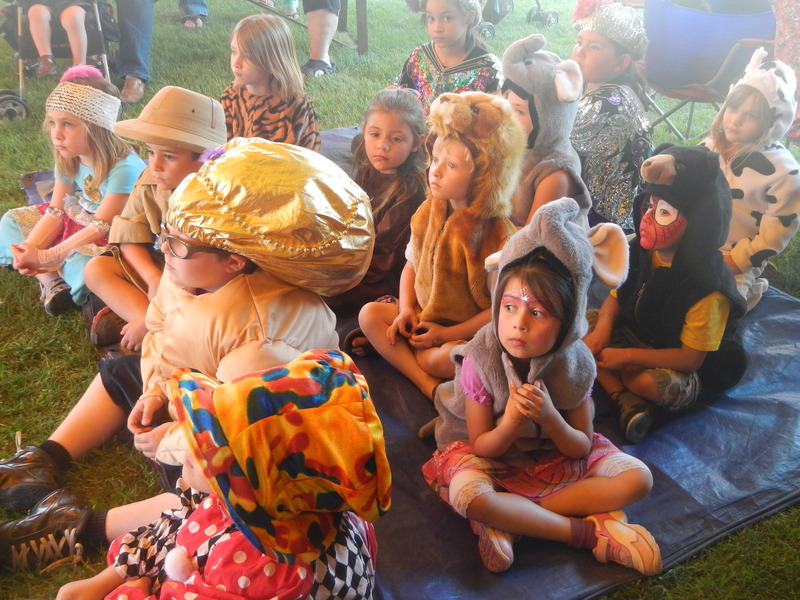 This entry was posted in Merced Spring Fair, Uncategorized and tagged children improv actors, circus imagination on April 30, 2012 by Carolina Raintree-Hegwer. Los Banos, CA: Did you know that today is the anniversary of the world’s very first fair? 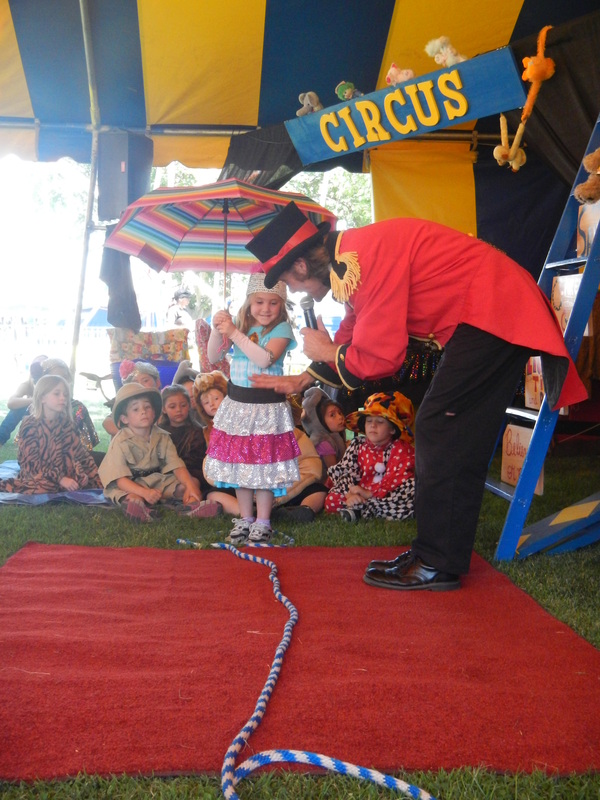 Our first show of the day was at noon and we featured Tina the Tight Rope Walker, a very busy Lion Tamer managing a big troop of wild animals that included lions, tigers, bears, elephant princesses, crazy monkeys and even Trinity, the leopard in pink cowboy boots! 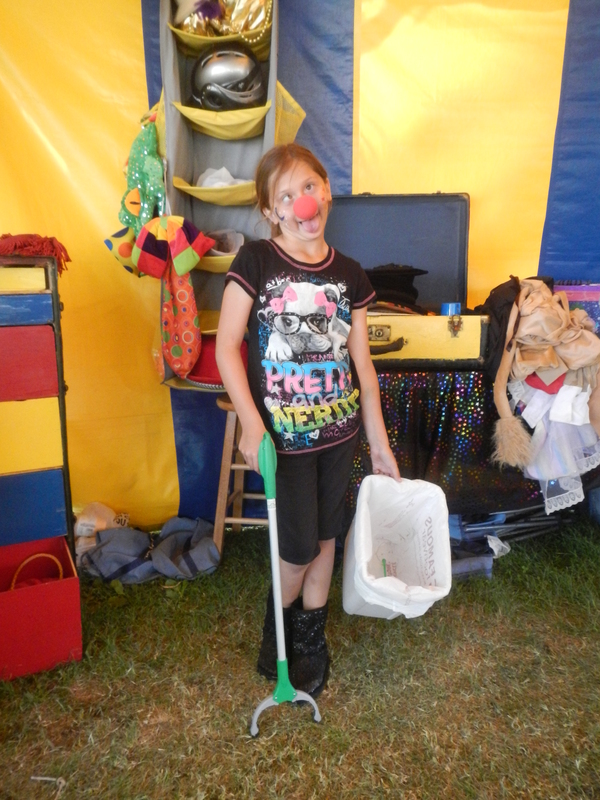 (Check her out in the picture below) Besides all those animals Circus Imagination also welcomed Champagne Sisters, Calamity Oakley the Cowgirl and a very experienced Zazel the Human Cannon Ball that had joined our circus not one, not two, but three times before – once a year! Our second show of the day started with a left foot when Tina the Tight Rope Walker suddenly forgot how to walk, but thanks to the quick queuing of the great Sandal the Strong the show went on with the powerful magic of kids imaginations! Too bad Sandal a.k.a. Dylan might have lost his job in the circus to Drake the Clown… As you can see in the picture below! This same circus, at 3 PM, also featured Quincy the amazing Lion Tamer and his newest circus acquisition: Reagan the lion cub! Oh… All the little ones bring so much joy to us and to Circus Imagination! Our last show of the day was at 4 PM and it was a circus extravaganza! There were clowns running around, loose lions strolling through the stage, so much excitement ringmaster almost lost the spotlight! Circus Imagination also welcomed back two of our dearest volunteers that have been a part of our show for as long as we’ve been in the Merced County Spring Fair! They are 8 year old Joshua, who was Zazel the amazing Human Cannon Ball and 15 year old Rachel, from Pacheco High School, who played Calamity Oakley – the super coordinated whip cracker who almost took a piece of the Ringmaster’s fingers as a souvenir! – Just kidding guys! Thank you for joining Circus Imagination again! Having families like you guys in our show is a big part of what makes our jobs worthwhile! So it all comes down to an end. For now, at least. As we wrap up our first fair of the year for the Circus Imagination season we can say it was much better than expected! We had a great time with all the Los Banos kids that volunteered in our show, as well as with the ones that sat in the audience. Circus Imagination would like to give a big thanks for all the support we’ve been given by this community! You guys mean a lot to us and we hope to see you all next year! This entry was posted in Merced Spring Fair and tagged 2011 merced county spring fair, Champagne Sisters, children circus, circus imagination, Dylan & Drake, farewell los banos, grounds act, los banos community, Rachel & Joshua, Trinity the Leopard in boots on May 1, 2011 by Carolina Raintree-Hegwer. Be Bop Fairy Website The Be Bop Fairy is a magical creature! She does face painting, glitter body paint, giant soap bubbles and at night she sheds her wings for an amazing LED and FIRE hula hoop performance! Clown College Website Clown College is our brand new activity area! Learn juggling, balance, hula hoop tricks, stilt walking, get lost in a maze and watch the AMAZING giant soap bubbles! Available for booking in the Western U.S.
Official Website Everything about Circus Imagination! 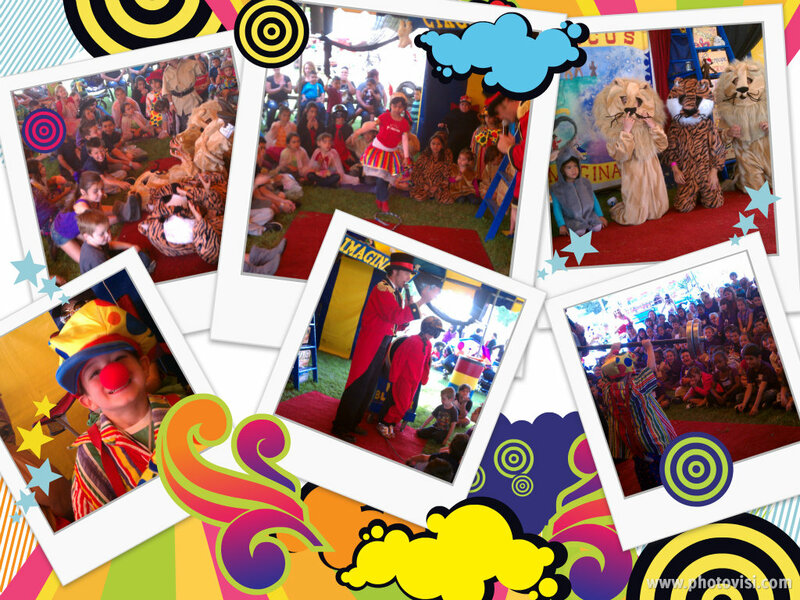 The circus that gets kids from the audience and transforms them into instant circus performers! Carolina Cucina Fresh food made from scratch!